Helping people to help themselves, which has a lasting effect! The whole world speaks of an economic boom in India, but in fact only a small part of the population benefits from it. India, with its 1.1 billion inhabitants, is one of the developing countries with low incomes. 80% of Indians, almost 900 million people, live on less than € 1.50 per day. The well-educated urban elites are benefiting from the economic upswing. Around 600 million rural dwellers are left largely empty-handed. Tamil Nadu is one of the poorest areas of the country. Countless families live from less than 1 €/day mainly as day labourers in agriculture or in factories. Without outside help, those affected cannot offer their children any prospects for the future. In cooperation with ZMS – Zukunft für Menschen in Südindien e.V., the CEF has been implementing the project “Student Sponsorships in South India” since 2012. The student sponsorships are aimed at young Indians* from the Tamil Nadu region who are seeking training or study and whose families cannot make this possible on their own. One year of training costs on average 300 € per person per year, currently 200 students are supported. With its child sponsorships, the ZMS is already making an important contribution to access to school education. With the following student sponsorships of the CEF it can go further in the direction of studies. The training of young people in the region can be promoted with relatively little effort. They can set up their own business locally or earn a regular income. The repayments will enable the project to become self-sustaining in the medium term and improve the regional quality of life. Future for People in South India e.V. 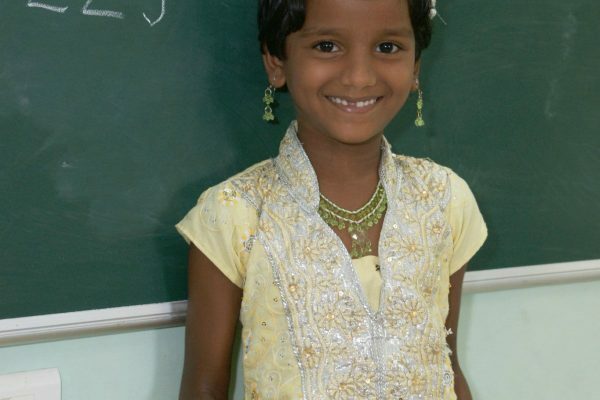 is a non-profit association that provides help for people in need in Tamil Nadu, South India. Helping people to help themselves and sustainability is the basic idea behind the aid measures. The project is being implemented in the Tamil Nadu region, a federal state at the southern tip of India. More information about the Tamil Nadu region.